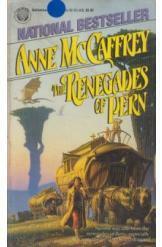 The Renegades of Pern by Anne McCaffrey Sci Fi. The book is in a good condition all pages intact. No one was safe from the renegades of Pern, especially Aramina, the girl who heard dragons.